Making quality videos means getting quality music. But what are the options, what are the costs and why should you use anything that isn’t free? The problem with option one is that the signal-to-noise ratio with copyright-free songs is very high and the number of decent tunes that are available for free use is limited. If you’re not to fussy it is perfectly possible to travel this route. The problem option two is that if you use a copyrighted song you risk getting a copyright strike on YouTube or worse still actually getting sued by the artist or their legal representation. For a long time myself (and I suspect many other people) ploughed a furrow between options one and two, risking infringing someone’s copyright because we’re a small fry. Option three seems to be the way ahead. 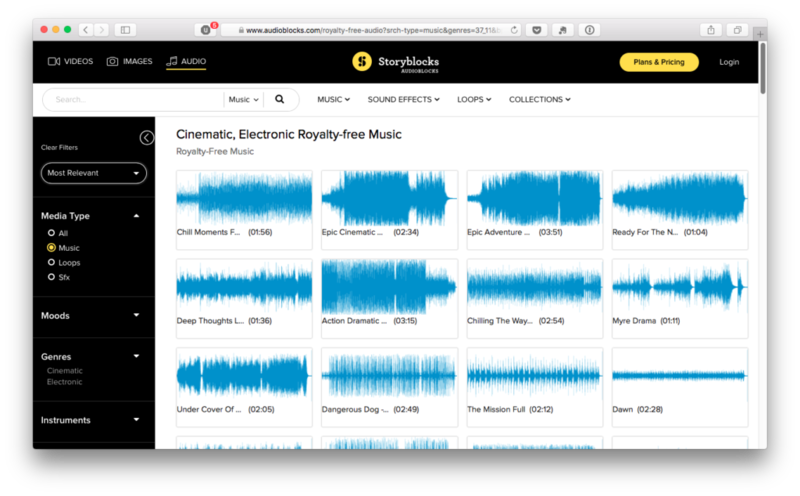 The emergence of royalty free subscription music services has changed things drastically and it’s now possible to be both completely legal and have decent music in your videos for the price of a Spotify-like monthly fee. 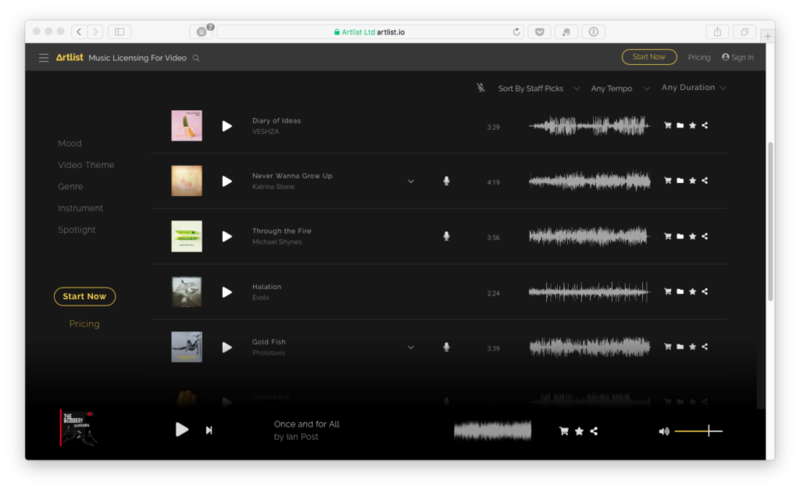 Founded in 2009, this Swedish RMS has a library of over 30,000 tracks to choose from and (according to Alexa traffic logs) is one of the busiest subscription music site of them all. They offer several subscription types, the best value of which is the Creator option although this is locked to a single YouTube channel, so if you operate more than one channel, even if it’s under a single Google account, you will need a subscription for each channel you upload their music to. Up until quite recently the accounts were also restricted to just YouTube but you can now add a (single) Facebook page and put in a request for an Instagram account too. When your subscription ends you can no longer use Epidemic Sound tracks in your videos, but anything you uploaded prior to your subscription ending will remain valid. The music player on the site was recently revamped and is now faster. The library covers 25 genres of music from acoustic through classical, electronica and reggae. The bulk of the songs seem to be (unsurprisingly) in the acoustic and electronic genres. You can also browse by mood (angry, dark, suspense etc), movement (frantic, smooth etc), places (newsroom, jungle etc) along with energy, tempo and length. One unique version of Epidemic Sound’s service is that you can download the tracks in MP3, WAV or Stem formats. Stems are tracks where the compoments of the song (the drums, the baseline, the melody etc) are split up so you can remix the track to work the way you want. They also have an SFX library full of sound effects and stings. After a bit of sleuthing, I’ve managed to work out that this RMS service has about 23,000 track in its library, putting it on a similar level to Epidemic Sound. 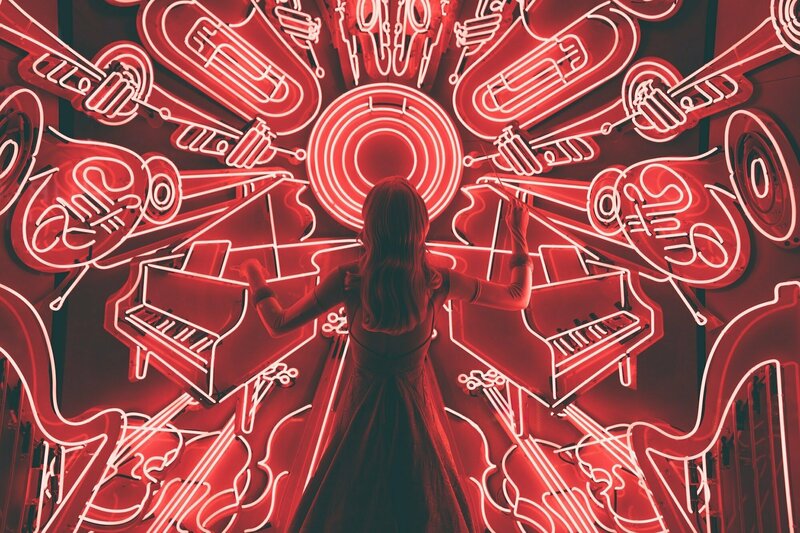 The bulk of the songs are in the ambient, electronic, indie and rock genres, but there’s pretty good representation of all kinds of music including spoken word and jazz. 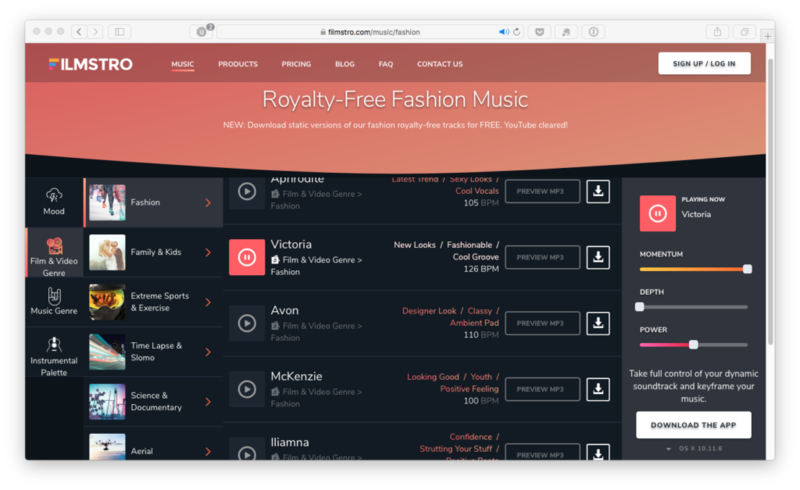 Of all the royalty free music services, MusicBed have the most comprehensive (and/or bewildering) range of subscriptions, which vary according to where you’re going to be sharing your videos, how big your company is and whether you’re going to be paying monthly or yearly. The Creator/YouTube subscription is the best value at $9.99 per month, which covers you for YouTube, Patreon, Instagram, Facebook and other usages. Unlike Artlist, when your subscription runs out you can longer include the music in your videos though of course any you previously uploaded are fine. I know it’s all highly subjective but I found the quality of the music to be better than most of the other sites. The big drawback to the cheap Creator subscription is that it’s only valid for one single YouTube channel. Of all the music browsers I found MusicBed’s to be the cleanest and fastest. You can filter by genre (indie, electronic etc), mood (eerie, peaceful etc), artist, attributes (a capella, solo etc), instrument (accordian, cello etc), advanced (BPM, build, song length and vocals) and you can also isolate further by limiting to just lyrics or just instrumentals. The waveform browser is extremely speedy with no lag present at all. You can download in 128K MP3, 320K MP3, AIFF and WAV formats, the latter two of which are of course lossless. All things being equal I think MusicBed is the strongest of the current RMS service offerings available today. 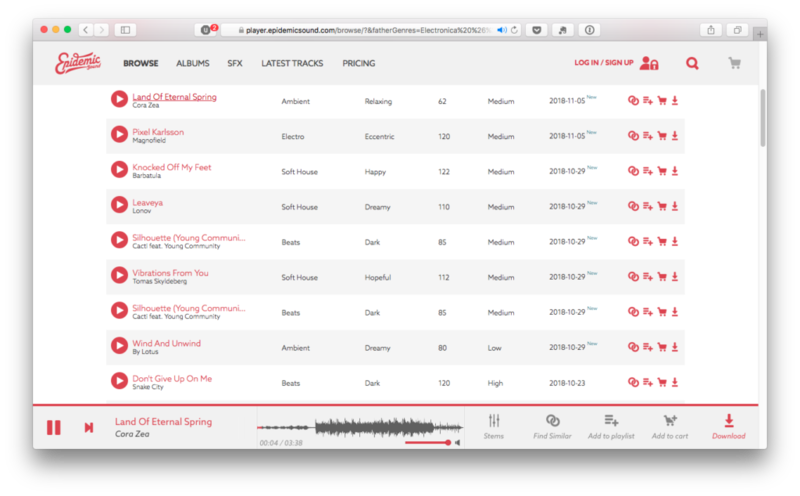 Like Artlist, Soundstripe reckon that their small library (3,000+ tracks) is that size because of their focus on quality over quantity. I spent a bit of time browsing through their library and found the music to be typical of the jangly (and instantly forgettable) tracks that seem to back every travel vlog on YouTube. It felt very similar musically to the weaker parts of Epidemic Sound’s library but as I said it’s all highly subjective so have a listen yourself to decide if it’s up your street. 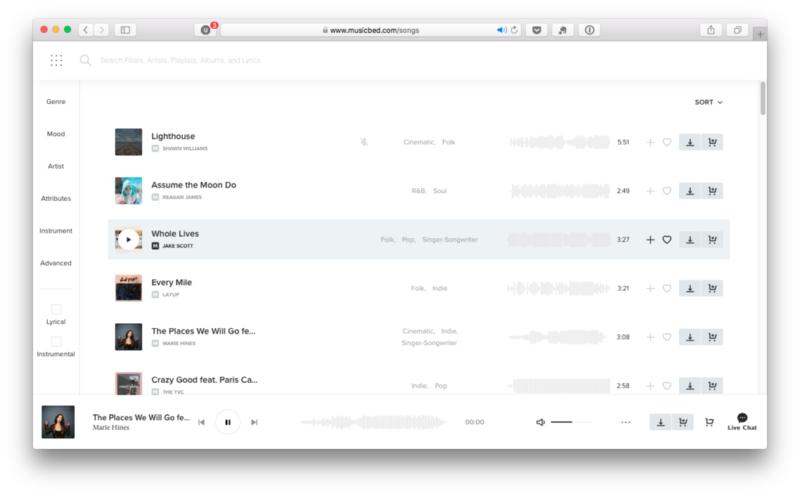 If MusicBed’s subscriptions were a bewildering array of options, then Soundstripe’s is the polar opposite – they have just two. There’s an all-you-can-eat option at $135 per year ($15 a month) and a premium $245 option which adds 10,000 sound effects and 400 stem songs to the deal. Soundstripe uses the familiar waveform music player interface and I found it to be lag-free and easy to use. It has one of the better filtering facilities in the main browser window that enables you to shortlist your track selections by mood, genre, pace, instruments, artist, duration, BPM and (extra points for this one), key! Like most of the RMS’s there’s also a playlist facility that groups tracks by theme such as ‘Action and Sport’ and ‘Inspiring Cinematic’ – these are often a good starting point for any music hunt. 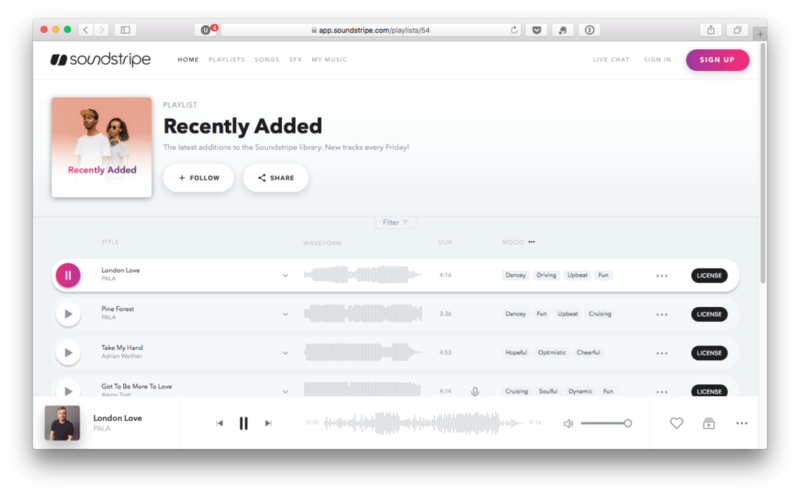 That being said, I found Soundstripe to be one of the weaker subscription royalty-free music sites and while its subscription fees are low, the size of the library and the quality of the music there-in is lacking. This American service has gone through a few changes over the years and began offering single use licences back in 2011. I had to jump through some hoops to even see the pricing information for their subscription service, which comes in at a hefty $60 per month (and that’s on special). Song Freedom’s USP is that they also enable you to individually licence ‘commercial’ tracks (those being tracks created by musicians with actual record deals) but the list of artists is underwhelming (I didn’t recognise a single name) so don’t go expecting to find Kanye or Beyonce in there. The ‘standard’ music included in the subscription model is pretty average, with a big emphasis on bland guitar music and extremely cheesy electronica. Like most of the RMS services, Song Freedom utilises a standard waveform style browser for their tracks and I found it to be lag-free. The filtering is on the simple side with options for genre (only 16 listed), mood (only 9 listed), vocals (9 listed), instruments (16 listed) and track length (8 listed). No doubt thanks to the longer history of the site, there’s a relatively decent library of 10,000+ songs, but after a lot of skipping around and listening to various genres and styles I didn’t hear a single track I’d consider putting in one of my videos. When you combine the sky-high price with the patchy interface and the bland musical offerings, it’s not a service I could recommend. Must admit that this particular RMS was a bit of a dark horse. I hadn’t actually heard of it before researching this article, but in checking its Alexa page rank it’s the most popular service online at the moment. The site began as a stock photo/video site, but has expanded into audio and claims to have over 100,000 tracks to choose from, but I believe that number includes sound effects and loops along with full audio tracks. The all-you-can-eat Unlimited Audio plan comes in at a very reasonable $15 per month ($150 per year if you prefer) and offers a full and wide-ranging licence that enables you to use the tracks on any platform or service you like. I found Audioblock’s interface to be one of the best I tested. It’s not as flashy as some of the services, but it’s incredibly snappy to use and completely lag-free. You can easily click rapidly between waveforms as the mood takes you. Filtering is excellent too, with options for moods, genres, instruments, tempo and duration – even better you can mix and match the filters. I was also quite impressed by the music – it might not be as hipster as some of the other RMSs, but the tracks seemed solid and useable. Another service that was new to me before I researched this article – Filmstro’s original claim to fame was that they produced repeatable music that you could loop forever. Earlier this year however they switched things up and announced the release of their first 1,000 song library. They offer YouTuber, Pro and Pro Plus accounts – the YouTuber being the most reasonably priced at $14.99 per month or $99.99 for a year. This gives you unlimited use of the (small) library on YouTube, Vimeo, social media, personal websites, showreels, short films and podcasts. I found the quality of the library to be better than average, but it’s hard to look past the tiny inventory, particularly when you consider that RMS services with the same subscription pricing have as many as 50 times as many tracks. One of Filmstro’s USPs is that it has plugins for Premiere Pro and Final Cut Pro that enable you to add music to any video without having to leave the application. You can also browse the music in the traditional way of course, using the web interface, but I found this to be slow and clunky. Songs seem to have to buffer entirely before they play and there’s no waveform to visualise how the song will play out. You can filter by mood, film genre, music genre and instrument. There are also three esoteric sliders labelled ‘momentum’, ‘depth’ and ‘power’ which seemed somewhat gimmicky. In my testing, I found a big range in the quality of the music on offer by these services, ranging from tracks that you wouldn’t think twice about hearing on the radio, through to annoying elevator music that could accompany an infomercial. Before you sign up for any of these services you really need to go and listen to the tracks yourself in order to find the one that’s the best fit for you and for your videos. Some have great electronica and crappy indie, some have awesome classical, but terrible ambient – take them for a test drive. 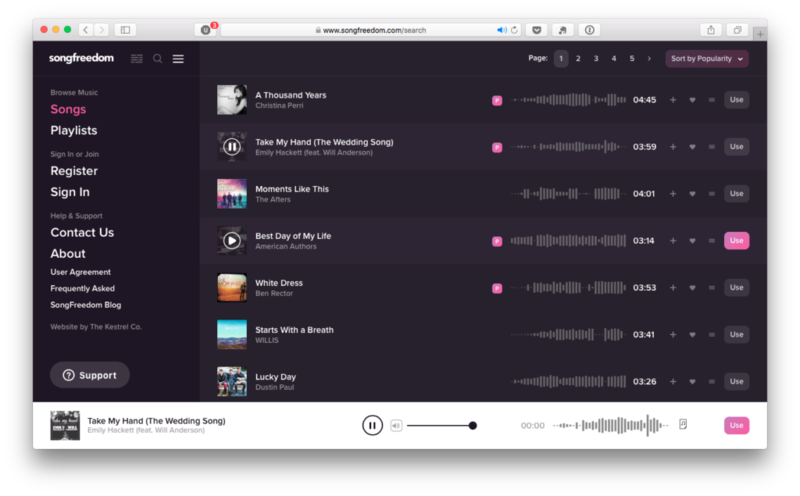 Of all the services, the one that hit the sweet spot for me was Musicbed. The tracks on this service are excellent, the library is large, the interface is excellent and the pricing is spot-on. 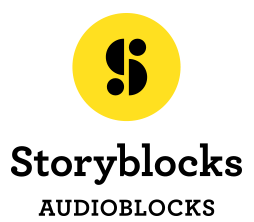 The other two services that are well worth checking out are Epidemic Sound and Audioblocks. At the end of the day your choice of service will more likely come down to style of the music you find on it, so road-test them all before signing up.